James Burns has over 30 years of executive experience in the pharmaceutical, biotechnology, and diagnostic fields. He has served in leadership roles ranging from commercialization, financial, business development, and general management within businesses ranging from early-stage companies to large multinational corporations, venture capital, and private equity. 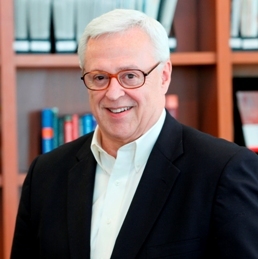 Prior to joining Assurex Health, Jim served as President and CEO of EntreMed, a public clinical-stage pharmaceutical company developing drugs for the treatment of cancer and inflammatory diseases; as President, EVP and a founder of MedPointe Pharmaceuticals, a specialty branded pharmaceutical company; a founder and Managing Director of MedPointe Capital, a private equity firm; President, CEO and a founder of Osiris Therapeutics, a public biotech company specializing in stem cell therapy for the treatment of damaged or diseased tissues; a founding General Partner of HealthCare Ventures LP, a venture capital partnership specializing in forming new pharmaceutical and biotech companies; Group President at Becton Dickinson, a global diagnostic and medical device company; and Partner at Booz & Company, a global strategy and technology consultant. This video is the true story of a family’s journey to help their son and how Assurex Health and GeneSight® technology helped get their lives back. CEOCFO: Mr. Burns, what is Assurex Health? Mr. Burns: We are a personalized medicine company that uses advanced genetic analysis to help clinicians select the proper medications for patients with neuropsychiatric and other disorders. CEOCFO: Personalized medicine is a very active field these days. Could you tell us a little more about your approach, and what you are able to provide that might not be available or might not be as effective a method as yours? Mr. Burns: For most medications that are taken by patients with depression, schizophrenia, and bipolar disorder, there are many medications that are available but they are generally developed in the basis of a “one size fits all” approach to obtaining FDA approval. What we now know is that, based on genetic variability, patients have very different abilities to either tolerate or respond to psychotropic medications, such as antidepressants and antipsychotics. Now, with an advanced technology called pharmacogenomics, we are able to determine what a patient’s genetic medication response profile looks like, and based on those results, help clinicians select the proper medications for each patient based on his or her unique genetic profile. CEOCFO: Are there many companies in your space? Mr. Burns: We believe that we are the current market leader. There are several companies that offer tests for individual genes, but we are the only company at the present time which has developed integrated, multi-gene products and has published data that demonstrates the clinical validity and clinical utility of our GeneSight technology. The company was started in 2006 based on technology originally developed at Mayo Clinic and Cincinnati Children's Hospital Medical Center. Psychiatric pharmacogenomic technology was developed in the early 2000s, so the technology has a long history of research and clinical application. Our company licensed the Mayo Clinic and Cincinnati Children’s technology and has developed products that are now used routinely by clinicians. We have basically translated the original technology discoveries and developed products that have been on the market since 2011. CEOCFO: What is the technology doing to allow you to measure? Mr. Burns: We start with a cheek swab to collect DNA, which most patients generally take on their own. The cheek swab is then sent to our laboratory in Mason, Ohio where we analyze each patient’s specific genetic variants, and then the results of that analysis are sent back to the clinician over a secure web portal. For example, we categorize more than 95% of the FDA-approved medications that are prescribed for patients with depression. We categorize the medications into what we call three color coded ”bins”. We use red, yellow, and green- traffic light colors to array the medications on the GeneSight report in a way that easily informs the clinician as to which medications may be suitable for their patient. Green bin medications are generally safe to use for patients based on their genetic profile, while yellow bin medications should be prescribed with some caution, and red bin medications should be prescribed with caution and frequent monitoring. We offer a very actionable approach, based on a patient's individual genetic profile, to support clinicians with objective, evidence-based information to help inform their treatment decisions. CEOCFO: Are most physicians using genetic testing today or is it still ahead of the curve? Mr. Burns: Genetic-based personalized medicine is still in its early days in clinical practice. It has been used more extensively in cancer and to some extent in infectious diseases. When it comes to neuropsychiatric disorders, Assurex Health was the first company to launch the technology into this therapeutic area. While still in its early days, the issues that we and other personalized medicine companies face is creating the awareness that this groundbreaking technology exists, that it can actually benefit patients, and can do so at a cost saving to insurance companies. CEOCFO: How are you pursuing that goal? Mr. Burns: We have launched three products, all under our GeneSight brand. GeneSight Psychotropic arrays antidepressant and antipsychotic medications for patients with depression, schizophrenia, and bipolar disorder. GeneSight Analgesic arrays medications for chronic pain patients, and GeneSight ADHD arrays stimulants and non-stimulant medications for patients with ADHD. These products have been on the market variously since the beginning of 2011, and we now have a direct sales force calling on psychiatrists, pain specialists, and pediatricians. We are building awareness and the adoption is growing rapidly. CEOCFO: You recently did an update to the GeneSight Psychotropic test. What have you added? Mr. Burns: Our most recent version of GeneSight Psychotropic had 32 medications, and we have added 4 more antidepressant and antipsychotic medications to the panel. These are basically medications that have been approved more recently by the FDA with increasing prescribing by psychiatrists and other clinicians. We also added another gene variant, or polymorphism, into the test that can further discriminate the genetic variations that might more precisely contribute to improved medication selection for certain patients. Other changes are designed to make it easier for the clinician to order and receive the test. CEOCFO: Do you have constant ongoing research? Mr. Burns: We are doing research constantly. For example, we use natural language processing to curate scientific and clinical publications on a weekly basis because pharmacogenomic technology is a very active field of research globally. We have our own research and development staff, have relationships with major academic medical centers, and the capability to generate our own novel inventions relating to both genetic and bioinformatic technology. CEOCFO: Is the public on board, or should you be addressing the public as well for them to ask the physicians? Mr. Burns: The enormous size of the market is a significant issue. There are approximately 40 million patients in the U.S. alone with psychiatric disorders and ADHD, as well as tens of millions who are on chronic pain medications. The real issue for us is that we can cover medical professionals with a direct field sales force, but we still have a small sales force compared to the size of the market. A major issue is how to communicate with those 50+ million patients and their families in terms of making them aware that technology exists to personalize the selection of their medications. We know that patients spend considerable time looking for information to improve their health status, because they are on websites, chat rooms, and blogs almost 24/7. The question for us is how to communicate with a very large market and do that in a cost-effective manner. Clinicians, on the other hand, have been anticipating for some time that objective, evidence-based technology would eventually be available for selecting the medications, so a big part of our job is reaching clinicians and educating them on the benefits of GeneSight. CEOCFO: You have over thirty years of experience in this industry and you have been the leader in several companies that are certainly known. Why was this the right opportunity for you at Assurex, and what have you learned from prior experiences that is most helpful as Assurex develops? Mr. Burns: I was actually introduced to the opportunity by a colleague and friend who also serves as chairman of the company. Through several months of diligence, I came to the conclusion that pharmacogenomic technology had the potential to transform the practice of psychiatry by addressing one of the most significant problems – medication treatment. Neuropsychiatric disorders represent a huge market with a compelling need that could be impacted by a very innovative technology. When you put all of those elements together with the potential for first mover advantage, those kinds of opportunities do not come along very often, perhaps only several times in a person’s career. Assurex Health addresses a compelling need, and the fact that psychiatric disorders have a 1 in 4 lifetime prevalence means that most people are affected themselves or know a family members, friends, or colleagues who are impacted by these disorders and could benefit from our GeneSight technology. The need is substantial, the opportunity is huge, and the ability to help is certainly there. Like many people, I have a family member who has suffered from one of these disorders, so the ability to help commercialize this technology, bring it to the patients, and change the course of psychiatry was a tremendous opportunity. Since I joined as CEO four years ago, what is most gratifying is when we receive e-mails from patients who have been on multiple failed medications for years -- for some patients up to ten years -- and just getting on the right medications has changed their entire lives. We have a tag line in the company that says, "Helping people reclaim their lives", so the technology can really help change patient outcomes. There are great medications available, and it is really just a matter of getting the right medications to the right people. We see the benefits daily. CEOCFO: What has been most helpful at Assurex that you have brought from your prior experience? Mr. Burns: First, you have to be visionary to see the implications for a new technology. You have to look five to ten years out at what the possibilities are and then look at where the state of the technology is today to figure out how to get from where we are today to the future. The realism associated with how you do that comes mainly from experience and, in the end, what you also learn from prior projects is persistence. You can have great technology and the capability to commercialize, but you still have to raise the money to carry the project through, have the persistence to raise those funds, and keep focused on the goal. You have to be persistent about it and never give up. What experience also teaches, particularly in healthcare, is that you need substantial clinical proof that patients benefit and that you can reduce health care costs in the process. CEOCFO: Do you do follow up? Are the doctors who are using your test following through and taking advantage of the recommendations? Mr. Burns: We do not always know that information on a clinician-by-clinician basis, but we do know from a published Mayo Clinic prospective clinical study that nearly 94% of physicians used the GeneSight report to either switch participants off medications discordant with their genetics to medications in the green bin or to adjust dosages according to the patient’s GeneSight report. What we have also found from clinical studies is that many of these patients are on multiple medications -- 6, 8, or sometimes more -- and, if any one of these medications is a red bin medication and the patient is then switched to a yellow or green bin medication, there is generally substantial improvement in their symptoms and potentially remission. We also know from responses that we are getting back from clinicians about patients who have achieved dramatic results and want to use that patient as a case study for submission to a clinical journal. We are getting sufficient feedback from clinical studies and individual clinicians to know with some certainty that we are on the right track. CEOCFO: Why should people in the business and investment community pay attention to Assurex? Mr. Burns: We stand out as a leader in a new wave of medicine -- the era of personalized medicine. We are the leader in the application of this technology to neuropsychiatric disorders, which is one of the largest, most costly, and underserved therapeutic areas. We have introduced this technology to the clinical market, we are at the cutting edge of new pharmacogenomic technology, and we are leading in the informatics, which allow us to analyze the complex interrelationship of genetic variants that determine a patient’s ability to tolerate or respond to specific medications. It is the ability to analyze this complex information that provides the objective, evidence-based outcome. Most of the technology that underlies personalized medicine today will be delivered through the information companies of the future. Informatics-driven genetics delivered in a clinically-useful and actionable format to clinicians and patients has the potential to revolutionize the practice of medicine. We are convinced that pharmacogenomic technology can not only improve patient outcomes, but can do so with a substantial reduction in cost to the healthcare system. This is where medicine is going, and I think this is why we will be the leader in treatment decision support products for neuropsychiatric disorders.